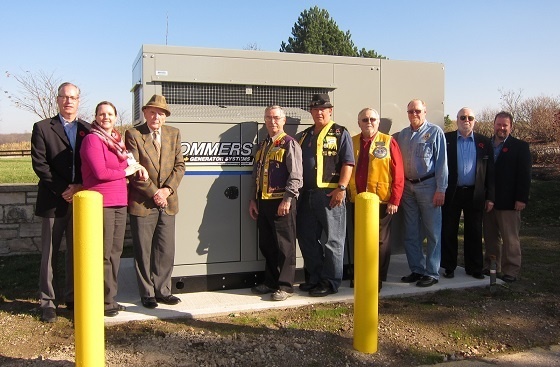 The lights will always stay on at the Sakura House residential Hospice in Woodstock with the donation of a backup power generator. The Woodstock Navy Vets will honour the men and woman who have sacrificed everything for our freedom. 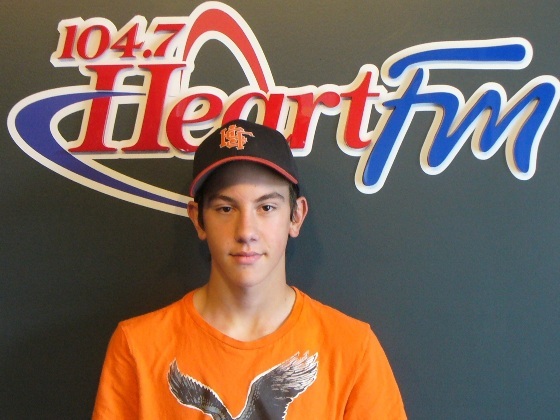 Jackson Swindells from the Woodstock Navy Vets has been named the goalie of the month. 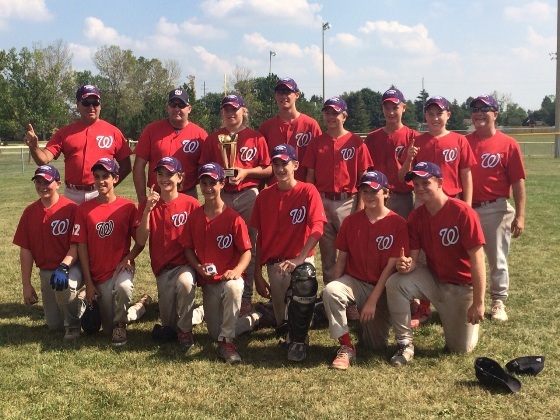 Two teams from the Woodstock Wranglers Minor Baseball System won big this weekend. 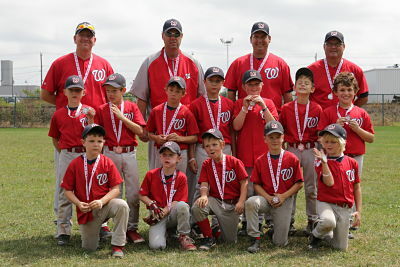 A local kid from Woodstock is making a name for himself playing fastball. 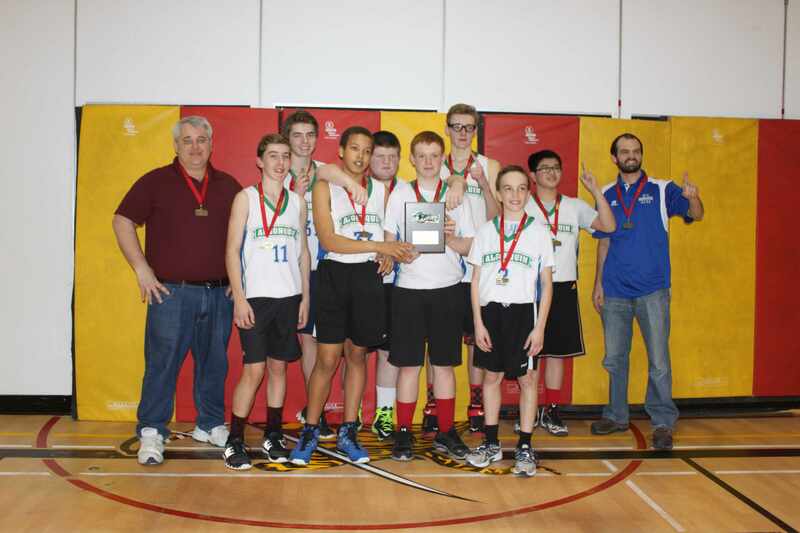 After tough competition the IDCI Blue Bombers are bring a medal back to Ingersoll. 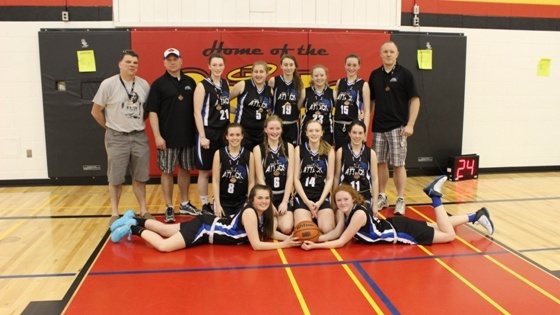 The Oxford Attack U16 girls team wins bronze at Provincials in Niagara. 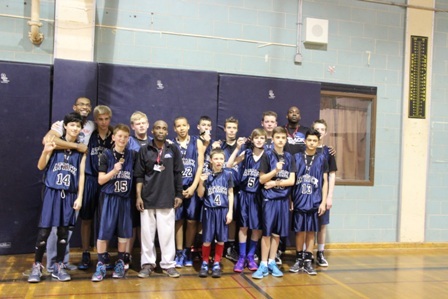 The Oxford Attack U14 team won silver at the Provincial Championships in Toronto. 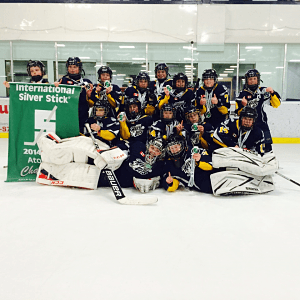 The Oxford Attack Major Bantam Boys ended their season beating four tough opponents on the way to their gold medal win in Division 13 at the provincial championships in Toronto last weekend. 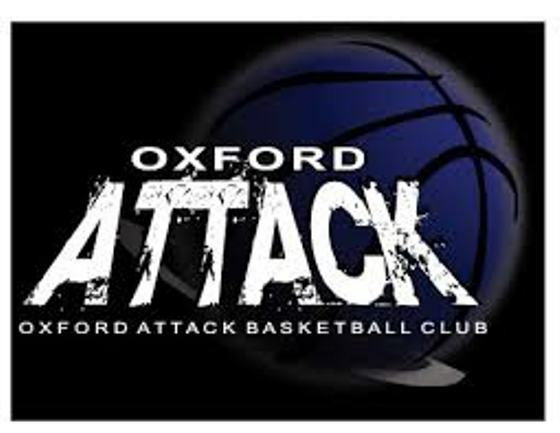 The Oxford Attack Under 13 Bantam Girls were competitive in 3 of 4 games at their provincial championships in Windsor over the weekend. 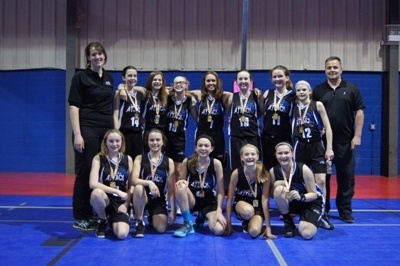 Oxford Attack under 13 Bantam Girls take gold at OBA tournament in Grimsby. The Norwich Merchants get a break today before heading to Ayr on Sunday. 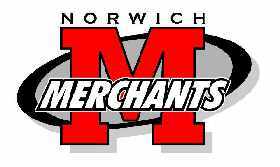 The Norwich Merchants captured Game 7 to win their semi-final series over New Hamburg and clinched their championship berth. 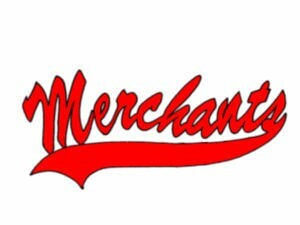 The Norwich Merchants have evened their semi final series with New Hamburg, 2-2. 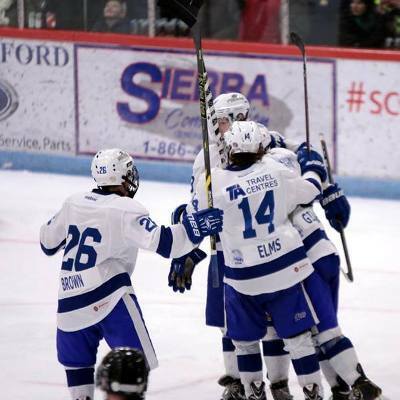 The Norwich Merchants dropped an overtime decision to New Hamburg in Game 3. 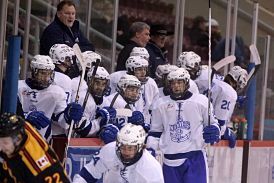 New Hamburg edge Norwich in game two of the semi finals series. 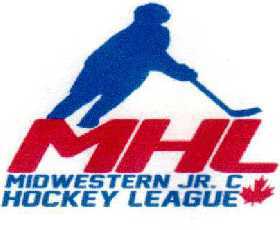 The Woodstock Navy Vets were eliminated from the junior c playoffs after losing to the Paris Mounties in Game 7. 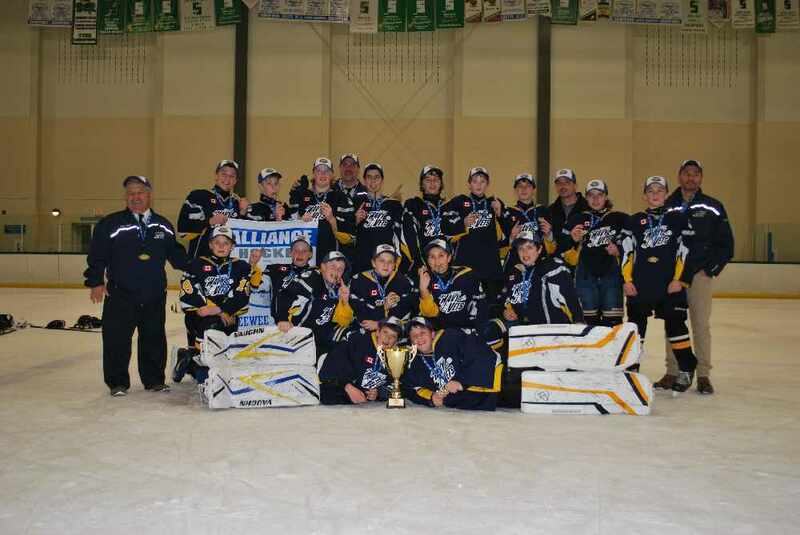 The Woodstock Navy Vets must win game 7 this evening in Paris if they plan on advancing to the semi-finals. Navy Vets take 3-2 series lead while the Merchant tie their series at two games apiece. 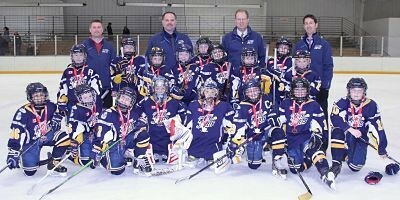 Three Woodstock Navy Vets recognized by the Midwestern Junior C Hockey League for their skills on and off the ice. 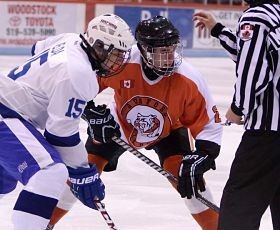 The Mounties and Vets series tied at two games apiece. 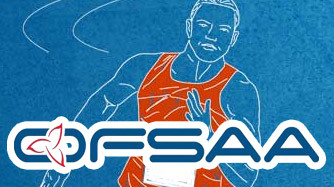 Thamesford facing elimination Friday night. 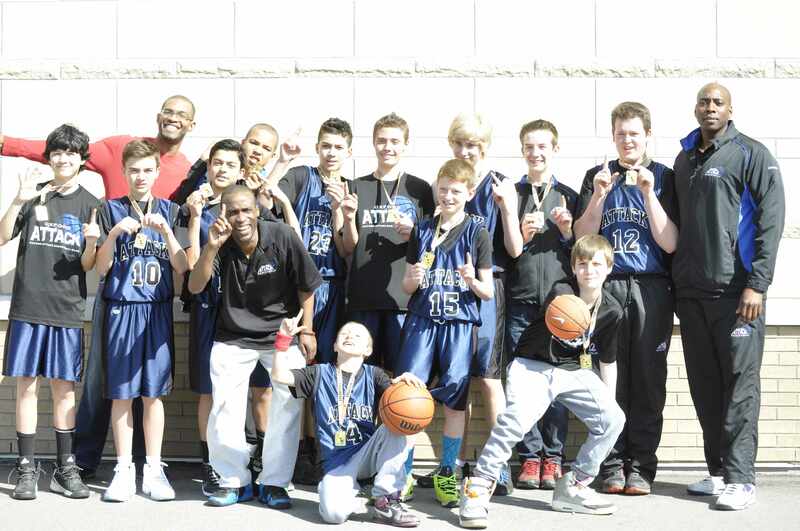 Major Bantam Boys U14 and U11 Atom boys/girls hit the courts this past weekend. The Woodstock Navy Vets will have home ice advantage heading into Game 4 of their quarter final playoff series with Paris. 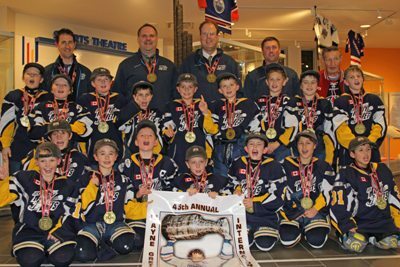 The Woodstock Navy Vets will attempt to capture a third win in their playoff series against Paris. 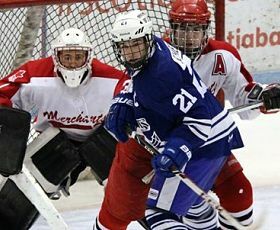 Vets have two game lead over Paris, Tavistock look to edge New Hamburg in series lead and Norwich kick off series Friday night. 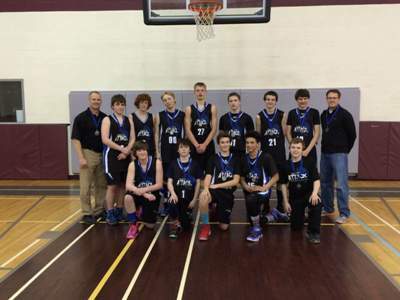 Navy Vets shut out Paris Mounties to win first playoff game since February 2009. 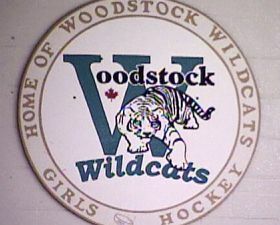 First round of playoffs for the Woodstock Navy Vets kicks off Tuesday night at Southwood Arena. Vets finish regular season with a game against Ayr. Woodstock Navy Vets celebrate Fan Appreciation Night while Merchants induct GM into Wall of Fame. Woodstock sit third in the standings, one point up on Norwich - the Vets have two games remaining while Merchants have three games in hand. 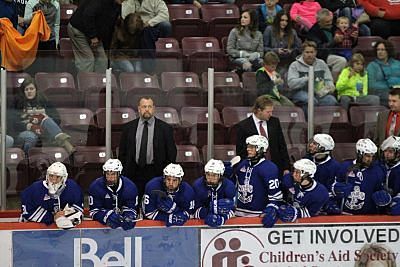 Burford fell to the Woodstock Navy Vets 2-1 in overtime. 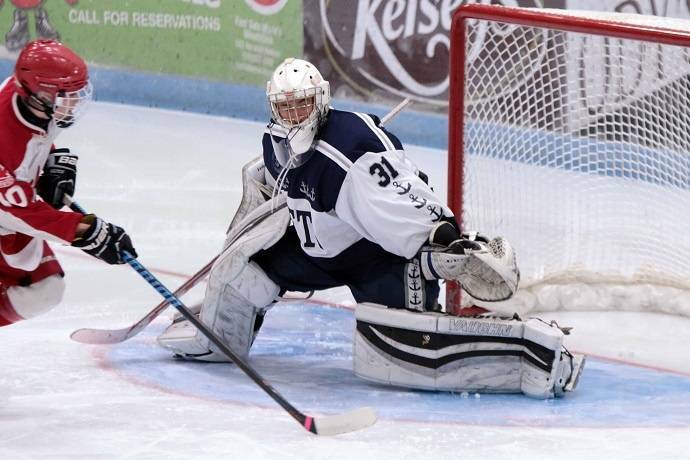 Vet's goalie Jackson Swindells recorded a 3-0 shutout over the Braves. A late third period effort by the Woodstock Navy Vets was not enough to even the score. 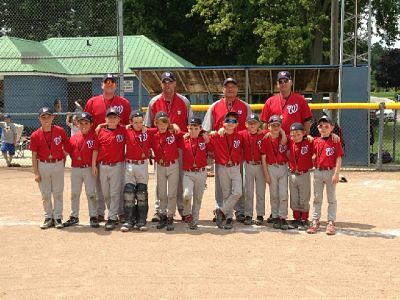 Woodstock's Jr Navy Vets Novice MD team took first place at the annual tournament last month. Merchants edge the Navy Vets in Norwich Sunday afternoon. 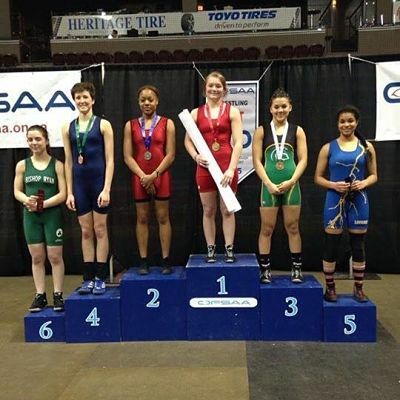 Narrowly edged by New Hamburg 3-2. A comeback effort from the Woodstock Navy Vets to force the game into overtime was quickly extinguished by Paris who scored 2:16 into overtime. 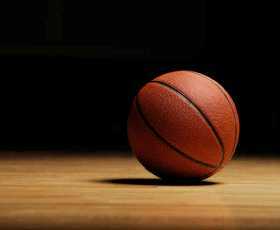 Woodstock Navy Vets head into holiday break sitting in third place after a big game against New Hamburg. Just a minute into overtime, Mike Gillespie scores the game winner for the Woodstock Navy Vets, placing the team in third place. 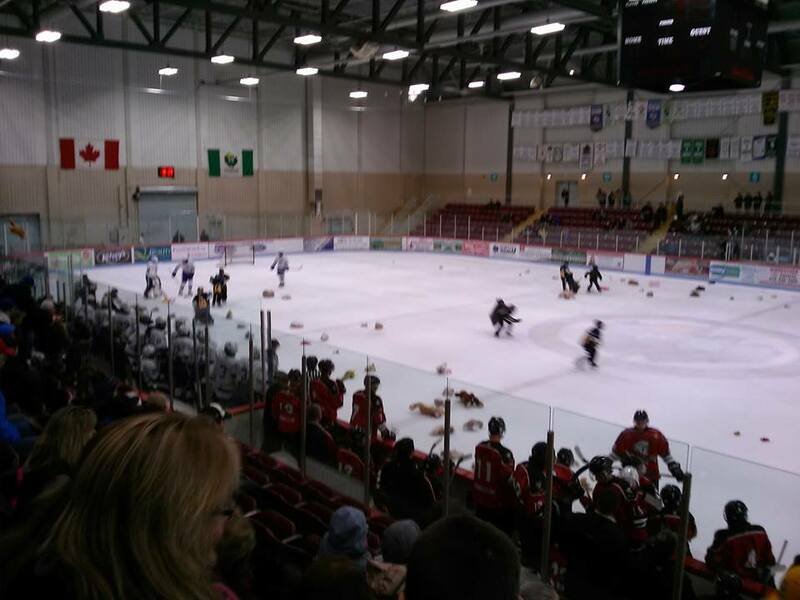 The Woodstock Navy Vets hosted their Teddy Bear Toss Night, collecting stuffed animals for children in need this Christmas. 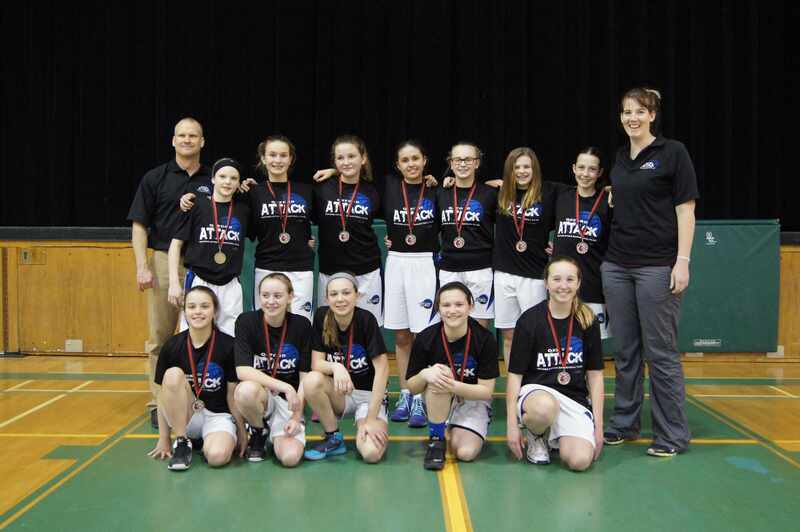 First place Ayr Centennials downed the Navy Vets Sunday afternoon. 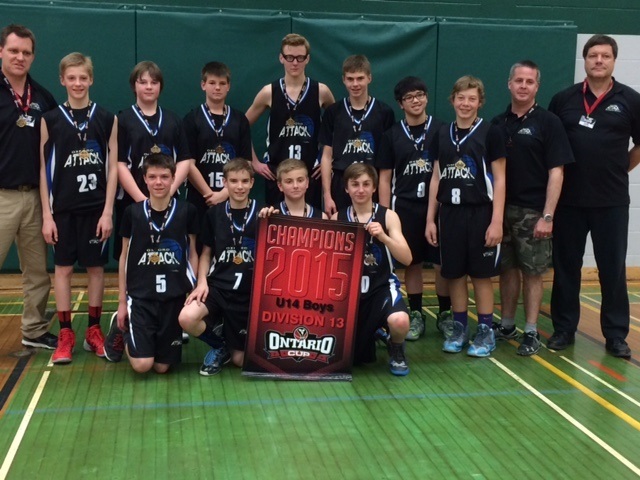 The Tavistock Braves scored in over time to take the victory. 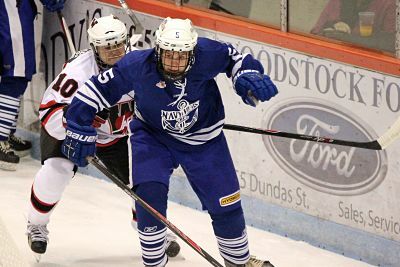 The Woodstock Navy Vets blanked Delhi 6-0 on Friday evening at Southwood Arena. Player and goalie of the month for November are Navy Vets. Eleven players also named to All-Star weekend line-up. 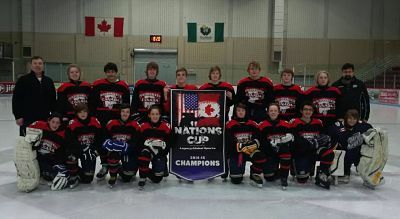 Woodstock Jr Navy Vets AA Minor Bantam boys win at Nations Cup Tourney in Michigan. 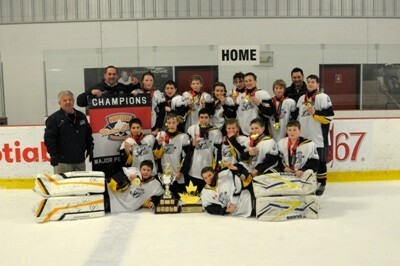 Minor Atom Jr Navy Vets champs at London SSE Wild Tournament in over the weekend. 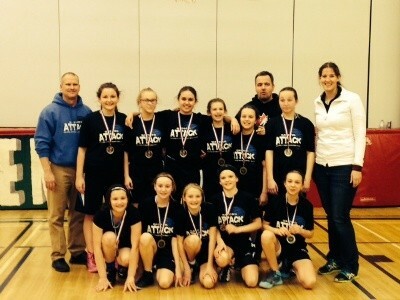 Oxford Attack Under 13 Bantam Girls played first tournament of the season over the weekend. 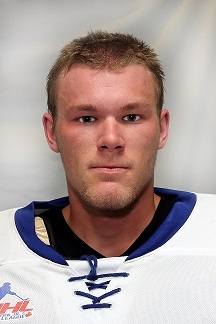 The Woodstock Navy Vets 8 game winning streak came to an end Saturday night in a narrow loss to the Burford Bulldogs. 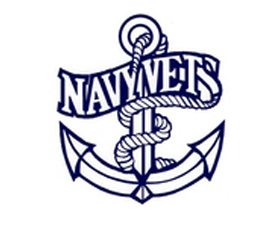 The Woodstock Navy Vets shutout the Norwich Merchants to claim their first win over the Merchants in several years. 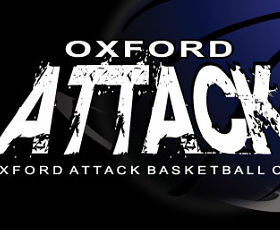 Oxford Attack Major Bantam Boys kicked off new season over the weekend against London. 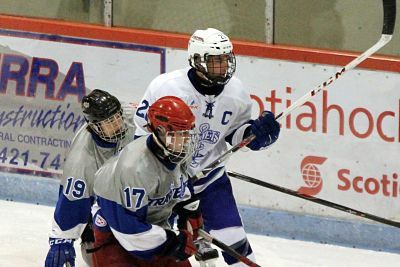 The Woodstock Navy Vets blanked the Paris Mounties 7-0 in action Friday night. The Woodstock Navy Vets have tied the team's longest winning streak in over eight years. 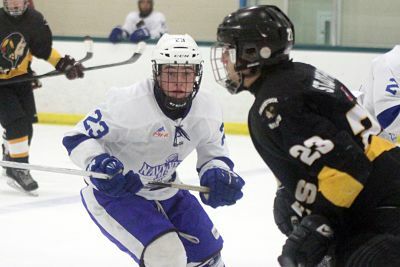 A 4-2 victory Delhi Friday evening gives the Navy Vets their fourth straight victory. 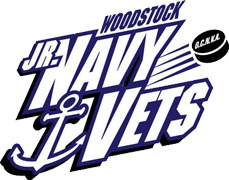 Woodstock Navy Vets make it three wins in a row Tuesday night. 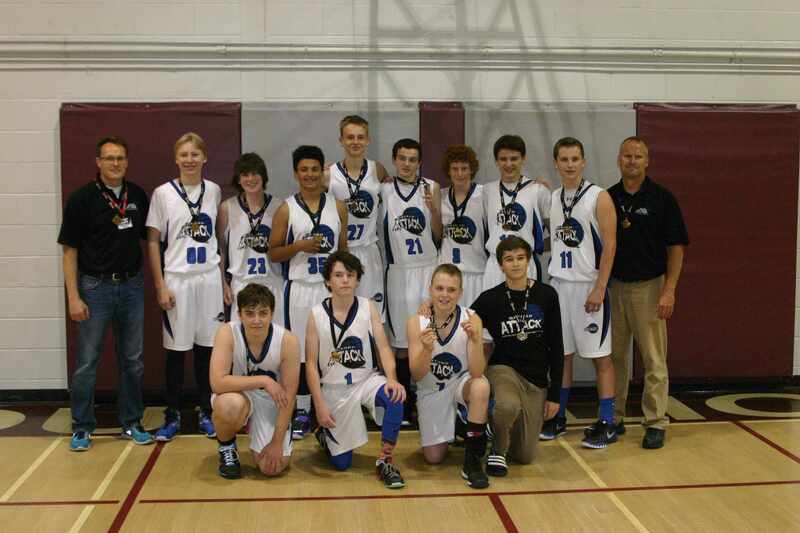 The Woodstock Navy Vets moved up to 4th place in the standings after sweeping the Burford Bulldogs. 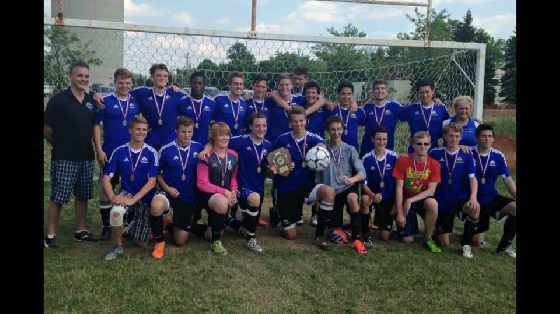 The Vets improved their season to 8-8 after defeating Burford 6 - 3. The Woodstock Navy Vets trend of losing the Battle of Highway 59 continued with a narrow 4-3 loss to the Merchants. Vet's win over New Hamburg makes it 7-7 on the season. Vets' make it 3-1 over Wellesley to get them back on track. A late third period rally from behind wasn't enough for the Vets who narrowly lost to the league leading Centennials. 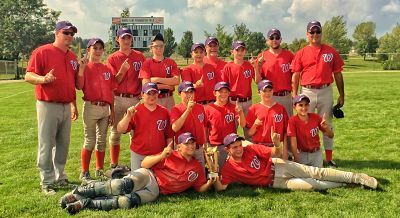 The Norwich Merchants ended the Woodstock Navy Vets three game winning yesterday evening. 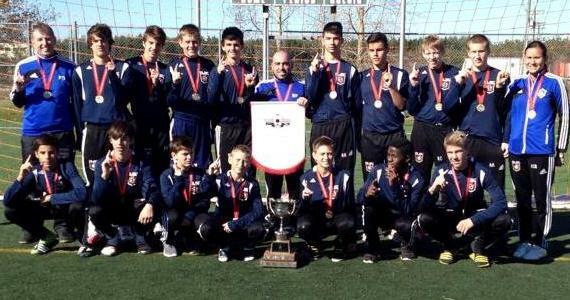 The North London Elite 2000 boys soccer team are national champs, including two local athletes. For the first time since December of 2011, the Woodstock Navy Vets have a three game winning streak. The Woodstock Navy Vets toppled visiting Delhi Friday evening 4-0. Langford lifts Vets over Paris with breakaway goal. The Woodstock Navy Vets lost a tough one on the road Thursday night. 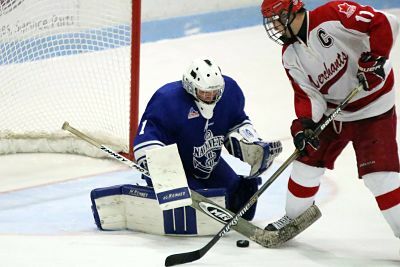 The Woodstock Navy Vets couldn't catch Wellesley Tuesday night. 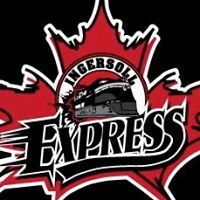 2 games on tap today in local junior C hockey. The Woodstock Navy Vets lost to visiting Norwich Merchants in first game of Battle of 59. Vets now 1-1 for the season, going into next weeks match against the Merchants. 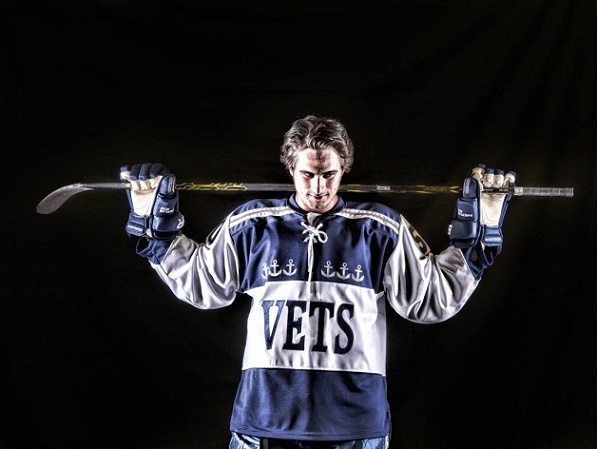 Woodstock Navy Vets kick off their 2014-15 season on home ice Friday night with free game for fans. Woodstock Navy Vets, Norwich Merchants and Thamesford Trojans were in action yesterday evening. 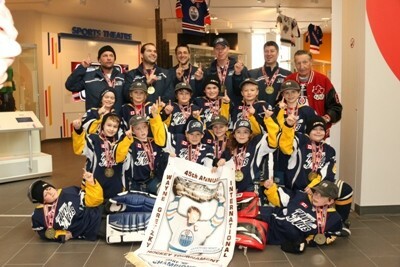 Woodstock's Major Peewee Wranglers are provincial champs.